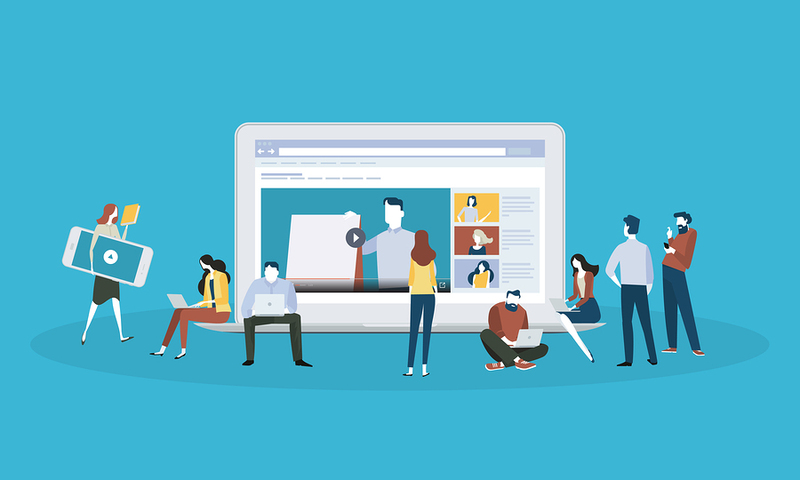 A well-executed animated explainer video is a fantastic component of an inbound or outbound marketing strategy, and directly impacts traffic and sales. If your video marketing strategy doesn’t currently include explainer videos, here are some compelling reasons to add them. Add value. One of the core principles of content marketing is to add value to your communication. Your goal should be to inform and educate your audience, sharing your expertise with them and inviting them to partner with you to solve their business challenges. For that reason, data-driven content is an increasingly important component of a marketing plan. Providing information, whether it’s in the form of a blog post, infographic, or video, makes your content more valuable. Engage your audience. Taking the time to explain your product, your philosophy, or your process, provides deeper engagement. Going beyond the initial claim (“our product is 40% faster”) to explain why speed matters, how you achieved it, or how it benefits your customers, adds more credibility to your claims and makes your brand stand out from your competitors. Explaining deepens engagement by showing the how and why, not just the what. The human brain is wired for visual communication, and we process visual communication up to 60,000 times faster than written text. A 90-second video can communicate what it would take thousands of words and several minutes to read. While a busy person may balk at a long page of text, they are likely to take a minute or two to watch a video. In fact, 59% of executives say that if the same content is offered in text and video, they will choose video. Video is more emotionally compelling than text, and emotional content is more likely to be remembered and acted upon. Video is much better than text at connecting to emotions and creating strong reactions. Video is popular & sharable. Chances are, you’ve already seen the stats on video content. Adults are more likely to like, share, or comment on video content than text. More than 500 million hours of content are watched on YouTube every day. 43% of people want to see more video content from marketers. People are hungry for video content, so it is absolutely essential for marketers to meet this demand. Animation is engaging. Animation is uniquely capable of creating universal but relatable characters, and animation triggers powerful emotional responses. Animation can transcend barriers that could inhibit engagement like gender, color, or class, and focus on evoking human emotion and togetherness. Animation visualizes concepts and data. As we all know, even an animated bar graph communicates a lot of data in a short period of time. With animation, we can visualize abstract concepts, values, and principles that are difficult or impossible to visualize in the real world, and transform them over time. Animation can elevate simple infographics into powerful communication tools. Broad design & aesthetic possibilities. Whether you want a photo-realistic 3D rendering of your product, a cute hand-drawn character to act as a mascot, or simply lines and shapes to represent concepts and values that change over time, there is virtually no limit to what an animated video can look like. This versatility creates tremendous possibilities for unique and powerful branding. Animated explainer videos present product features & benefits in a factual, appealing way, without a hard sell, creating unique, memorable, and valuable content. Animated explainer videos also retain value for a long time, improving the ROI on your content investment. Finally, studies show that 85% of people are more likely to purchase a product after watching an explainer video about it, boosting conversion rates in a way that no business can afford to ignore. Although explainer videos can have a dramatic impact on your prospects and leads, you need to have some important elements to act as the foundation of your video strategy. A buyer persona will help you really understand your target audience and this will be essential to know what type of video content you should be creating. The customer journey map will tell you if you need to be producing videos for your a) prospects b) leads c) customers as well which marketing / sales touch points the videos should be played. And finally, the marketing and sales funnel will help you make videos that allow for effective re-marketing so that you can build relationships with your target audience over time to ensure they become ‘buyer ready’. If you want to find out how to incorporate this powerful tool into your digital marketing strategy, contact us for more information and get started today.